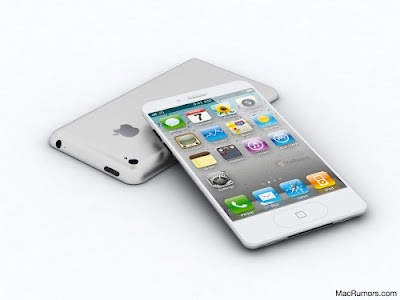 Well today was a busy day for next generation iPhone rumors, the day started with an analyst claiming that he had knowledge about upcoming iPhone, followed by Foxconn’s head of human resources giving his two cents about iPhone launch and finally some specs were also thrown into the mix by 9to5mac. Last week, we reported that upcoming thinner and lighter MacBook Pros featuring new Ivy Bridge processors will be the most powerful Mac laptops ever with at least 30% performance jump. Adding more weight to our report, a Bulgarian website Laptop.bg has posted benchmarks of entry level quad core mobile processor Intel Core i7-3610QM, which will be part of Ivy Bridge lineup. 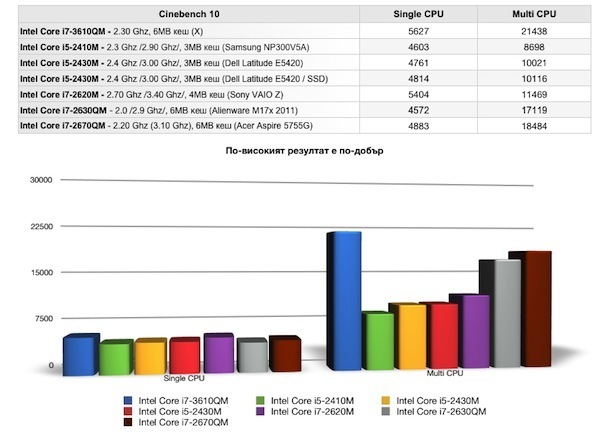 The website got their hands on the new processor and ran some benchmarking tests comparing the new Ivy Bridge mobile processor with last years Sandy Bridge chips.